Blogging is a dream job. Who wouldn’t want to write a blog about the things they love and make money from it? And with that dream plastered all over the vision boards of our minds, so many of us jump in and start blogging. But then it hits you. This blogging thing is actually hard work. It’s all glamour on the outside but to make real money from it, you’ve got to put in real work. The most important thing however, is to put in the work that matters. Work that will make sure you get paid for blogging. So how does it work exactly and how can you make sure your blog is set up to make money? Those are the question we’re here to answer. 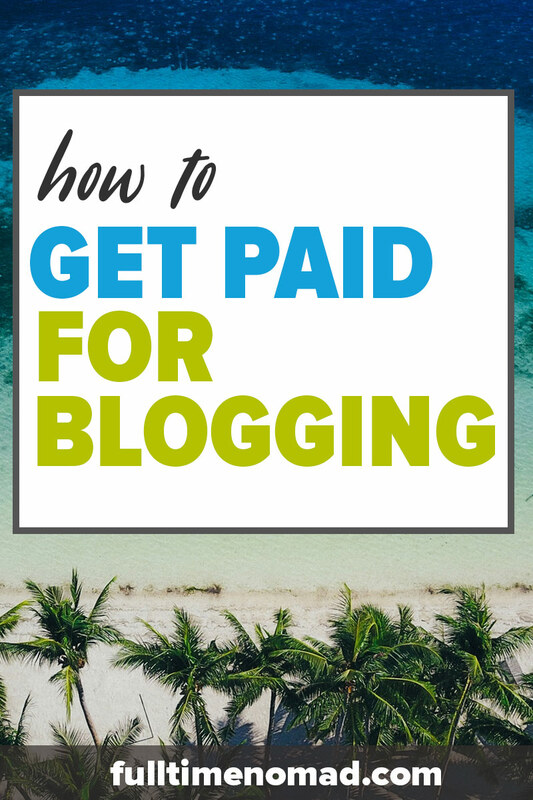 To help you understand how to get paid for blogging we will look at 11 ways that you can use to make money from your blog. There are many different ways to generate income from a blog. 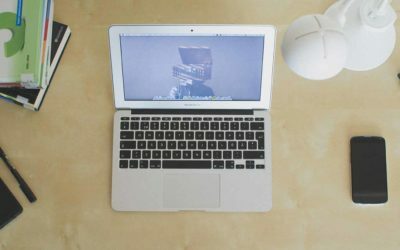 Depending on the topic of your blog, your industry and your audience, some methods may work for you better than others. It’s a good idea to be aware of all your options and then focus on one or two when you get started. A bit of trial and error over time will show you which methods are best suited for your blog. So here are the 11 most well-known ways to get paid for blogging. Ever used a product or service you love and recommended it to everyone you know? 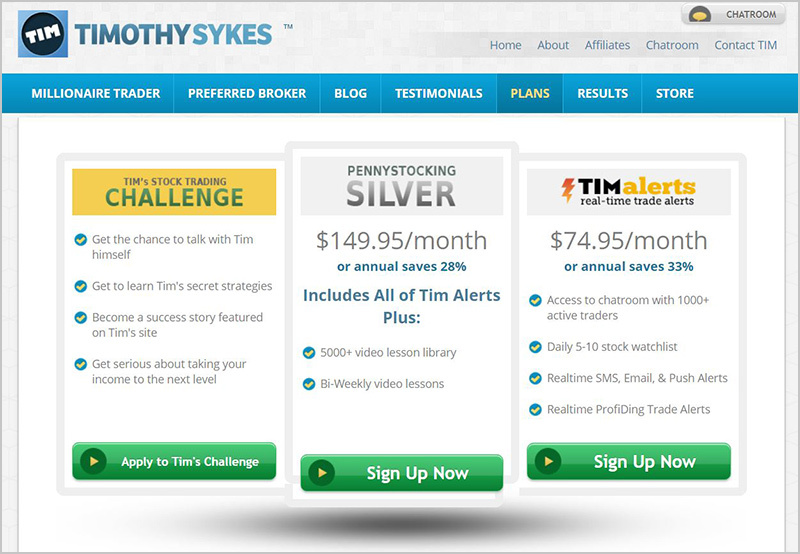 Affiliate marketing lets you do exactly that online – on your blog – and get paid for it! So say you are a beauty blogger and love a particular set of makeup brushes. You could recommend these brushes to your audience on your blog and link to the product. The link you use is known as an affiliate link. This usually includes special tracking. This means, if someone uses your link and buys the makeup brushes you recommend, the sale is attributed to you. You will then earn a small commission for making this sale. There are hundreds of affiliate programs you can sign up for, online. 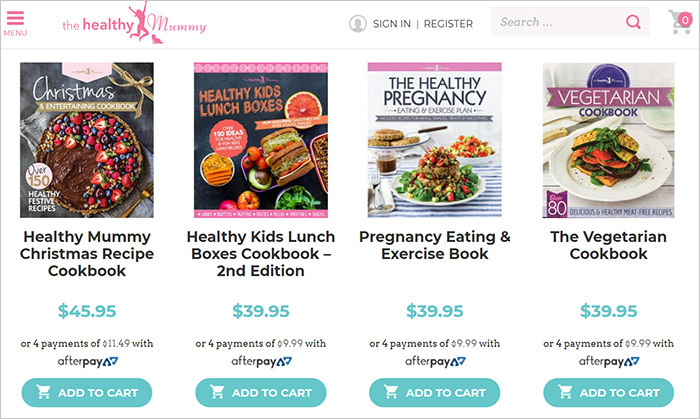 In fact, Amazon too has a big affiliate program and is very popular among bloggers. Another popular way to make money from a blog is to sell ebooks. Anyone can write an ebook and you don’t need to be an expert author or anything. You can write an ebook about almost any topic under the sun. If you have been blogging for a while now you can take some of your closely related blog posts and turn them into an ebook. Or you can simply write an entire ebook from scratch focusing on topics that are of high importance to your readers. The key to a successful ebook is of course to create a book about something people want to learn more about. You want your ebook to be so appealing to your audience that they want to buy it and read more about your chosen topic. So put some thought into your topic before you start writing. Once your ebook is written and published, you can promite it everywhere on your blog and as long as people want to keep reading it, you will have a source of income. One of the best ways of getting paid to blog is by creating a passive source of income. Like ebooks, online courses are very popular digital products among bloggers. If you have the expertise or specialised knowledge in a special area, it’s a great idea to create an online course to teach your audience more and share your expertise with them. You can create a course about almost any topic but just make sure it’s relevant to your audience, and of course in-demand. So if you usually blog about tech but also have a knitting hobby, don’t try to sell a knitting course to your tech readers. Make sure your course is tech-related too. An online course is a product that you can sell and will continue to bring you income long after you finished creating it. You create it, put it up on your blog, promote it and as long as people keep buying, you keep making money. 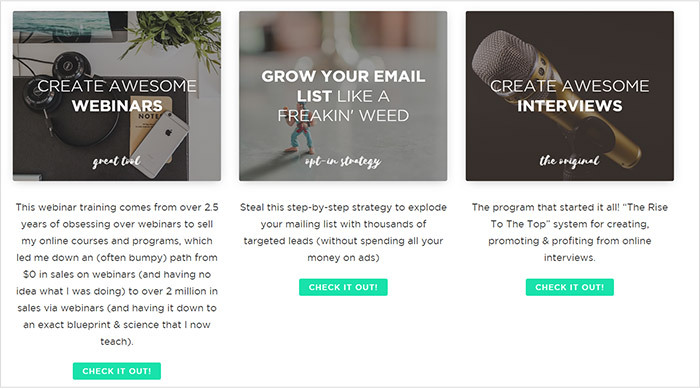 Dave Siteman Garland’s online course sell for as much as $997! 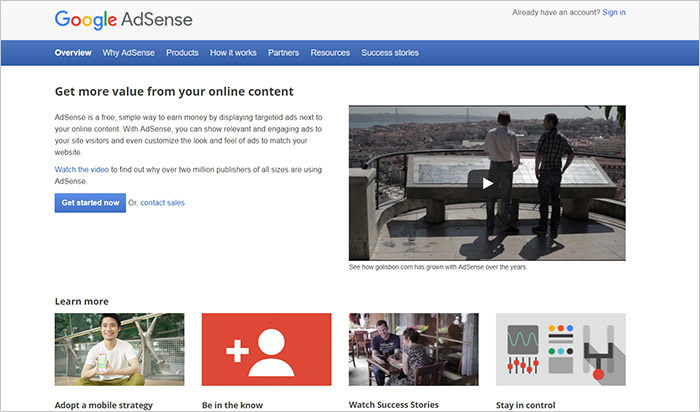 Make money from Google Adsense by displaying ads on your blog. How does it work? You sign up to the Adsense program and then simply need to add a script from Google to your website and the ads will start displaying. Usually, these ads are tailored to suit the content of your site or can also be personalised to suit the person reading your content. As these ads are usually very relevant, your audience is likely to click through and want to find out more. You will then get paid every time someone clicks on that ad (or sometimes, based on how many views you generate). Just be aware that making a significant amount of money from Adsense will also require your blog to have lots of traffic. Unless people are seeing the ads, they’re not going to click through and no clicks = no money. If you’re a seasoned blogger with a good following then you have acquired the bragging rights of being an authority in the industry. Take advantage of this and offer coaching services. It’s likely there may be others in your industry who could stand to gain from your experience. Offer one-on-one coaching sessions to share your knowledge and expertise with your audience. Additionally, you can also offer consulting as a service. This is usually more targeted to businesses. 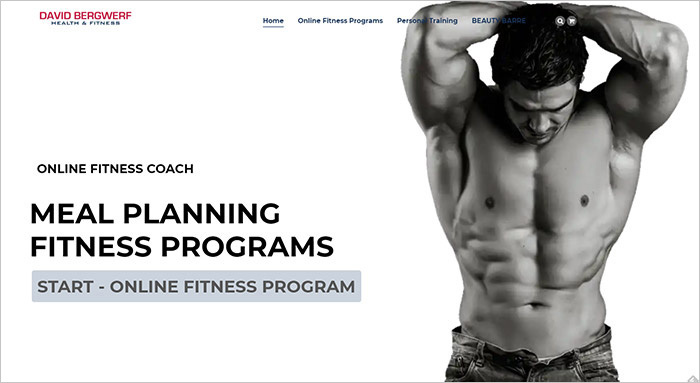 So, for example, if you have a blog about fitness, you can work with clients on how to develop fitness brands, or even how to engage a fitness related audience on social media. There are a lot of coaching and consulting opportunities available to bloggers who establish themselves as experts in a certain area. Another awesome idea on how to get paid for blogging is by selling advertising space. This is often way more lucrative than just using Google Adsense alone. Having blogged for a while and acquired good traffic you can get businesses to advertise on your blog either for a commission or a flat rate. You offer them banner or text link space on certain areas of your blog and they pay you a fixed fee for this, usually monthly. The more popular your blog is the more money you will make as businesses are interested in reaching as many people as possible. Writing sponsored posts on behalf of brands is another good way of getting paid to blog especially if you’d rather not have ads displaying on your blog. A sponsored post is simply when you sell a blog post to a business. Sometimes they write it or sometimes you will have to write it – depending on your agreement with the business. Sometimes a business will ask you to review their product or service (more on this below) but a sponsored post is usually about a topic that is relevant to your blog niche – the business simply pays for a mention and a link back to their site, so they can be exposed to your audience. The fees for a sponsored post are usually a flat one-time rate and the bigger your audience, the more you’re likely to be able to charge for it. If you have really good organic traffic on your blog and you’re still wondering how to get paid for blogging, you can try selling text link ads. Link building is a huge part of building a site’s SEO and businesses value links from good quality sites. Often, they are willing to pay a fee in exchange for placing a link on your blog. This fee can be a monthly fee or a one-time charge – depending on what you prefer. Just remember not to go overboard with this and only link to sites that are reputable and relevant or you could end up being penalised by Google for shady SEO practices. 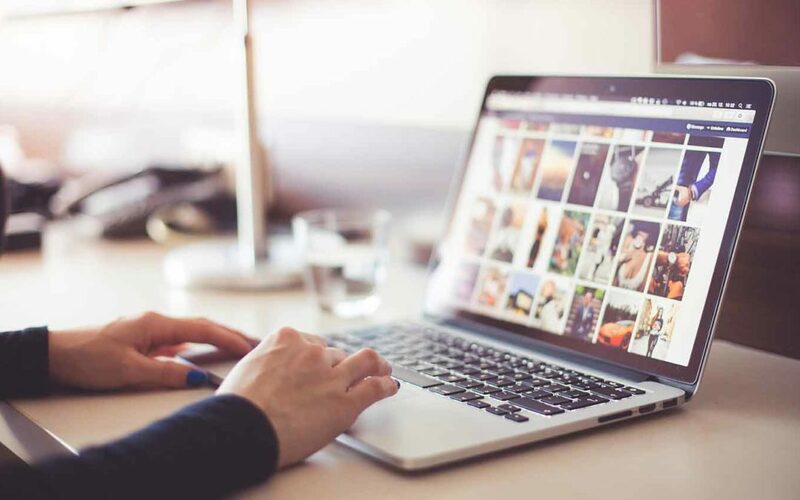 Another option to monetise your blog is to create a members-only site/forum for your most loyal readers and share with them more in-depth blog posts, videos, downloads, online courses and more. Usually, the best way to do this is to charge a monthly or one-off subscription fee for members to join. Members get access to your content but often it’s also the community they love. A blog is also a great platform to start selling your own products and services of course. 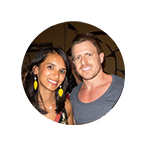 It’s common to see fitness bloggers start out by creating content and often when they get successful, they start selling their own products such as t-shirts, fitness gear and so much more. If selling physical products is not your thing, you could also sell services. As an expert in your niche, you can start earning money blogging by offering your skills and expertise for a fee. For example, a fitness blogger could sell a fitness program as a service. Or online consulting, as we mentioned before. Another great way to get paid for blogging is by writing paid reviews on your site. 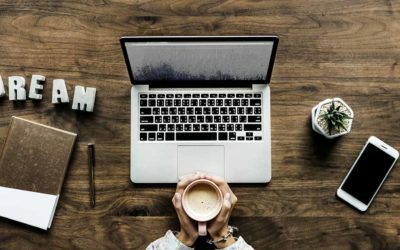 This is another kind of sponsored post and businesses love to work with bloggers with an engaged audience because a review from a trusted blogger is worth much more than just a random person’s review. You get to try out products/services related to your niche (sometimes for free), and then get paid to write an honest review on your blog. So there you go – 11 different ways to make an income from your blog. All of them totally feasible and methods that successful bloggers have used to grow their own blogging income. 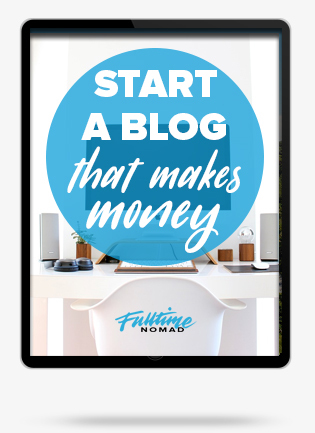 Now that you’re familiar with how to get paid for blogging are you ready to start making money from the blog that you’ve put in so much time and work to build? You definitely deserve to. So go on try out some of these ideas and let us know how it goes! 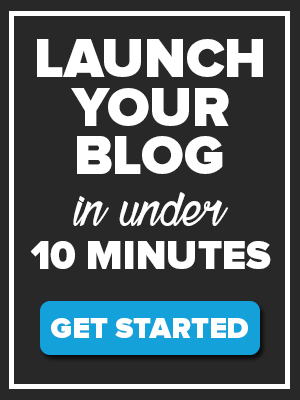 Are you new to blogging and wondering how to start a blog and get paid for it? Check out our blogging for beginners guide. Have you had any success in making money blogging? Let us know your experience in the comments box.